CareWear has invested heavily in the development of a strategic patent portfolio encompassing substrates, devices and applications in key global markets. Patent claims are directed to clinical methods and device features such as dose control, printed LEDs, OLEDs, ultrasonic substrate design and manufacturing, app and cloud device interaction, and sensor technologies. 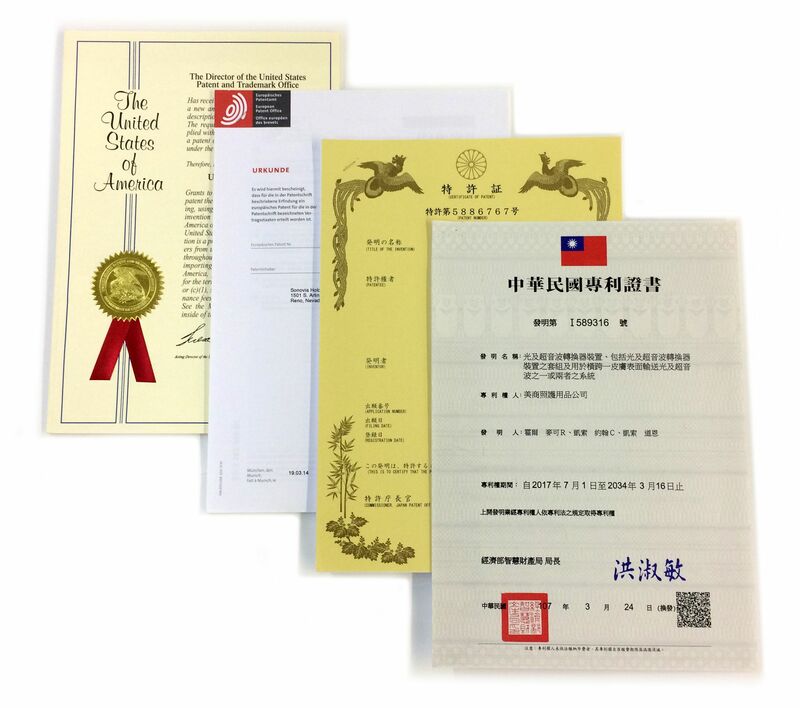 The company has over 55 issued patents with additional pending applications and divisional filings for significant long term protection and licensing opportunities. Partner with us as we advance PhotoBioModulation (PBM) therapy globally for the advancement of human and animal health.